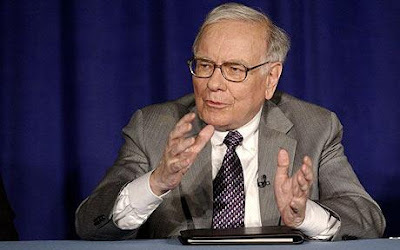 Warren Buffett, the greatest investor of all time, shared his priceless wisdom with Emory’s grad students at a recent Q & A. Although, his investing strategy is amazing I really liked these particular answers a lot. “I enjoy what I do, I tap dance to work every day. I work with people I love, doing what I love. I spend my time thinking about the future, not the past. The future is exciting. As Bertrand Russell says, “Success is getting what you want, happiness is wanting what you get.” I won the ovarian lottery the day I was born and so did all of you. We’re all successful, intelligent, and educated. To focus on what you don’t have is a terrible mistake. With the gifts all of us have, if you are unhappy, it’s your own fault. I know a woman in her 80’s, a Polish Jew woman forced into a concentration camp with her family but not all of them came out. She says, “I am slow to make friends because when I look at people, I have one question in mind; would they hide me?” If you get to be my age, or younger for that matter, and have a lot of people that would hide you, then you can feel pretty good about how you’ve lived your life. I know people on the Forbes 400 list whose children would not hide them. “He’s in the attic, he’s in the attic.” The most powerful force in the world is unconditional love. To horde it is a terrible mistake in life. The more you try to give it away, the more you get it back. At an individual level, it’s important to make sure that for the people that count to you, you count to them. What if you could buy 10% of your classmates and their future earnings? You wouldn’t buy the ones with the highest IQ, the best grades, etc., but you’d buy the ones who are the most effective. You like people who are generous, go out of their way, straight shooters who makes things happen. Now imagine that you could short (this means betting against them) 10% of your classmates. This part is usually more fun as you start looking around the room. You wouldn’t choose the ones with the poorest grades. You’d look for people nobody wants to be around, that are obnoxious, the ones who are all talk. If you have a 500 HP engine and only get 50 HP out of it, you’ll be beat by someone else that has a 300 HP engine but gets 250 HP output. The difference between potential and output comes from human qualities. You can make a list of the qualities you admire and those you despise. To turn the tables, think, if this is the way I react to the qualities on the list, won’t this be the way the world will react to me? You can learn to turn on those qualities you want and turn off those qualities you wish to avoid. The best way to get success is to deserve success. I have to look them in the eye and decide whether they love the business or they love the money. It’s fine if they love the money, but they have to love the business more. Why do I come in at 7 every morning, I can’t wait to get to work. It’s because I get to paint my own painting and I like applause. In my personal life, there are always things I could’ve done differently. But so many good things have happened. It just doesn’t pay to dwell on the bad things. Finding the right spouse is 90% of it. If you have your health and lucky on your spouse; you’re a long way home. Charlie Munger..the Right Hand Of Warren Buffet..